From Shanghai, some took a side trip to Guillin instread of Beijing. 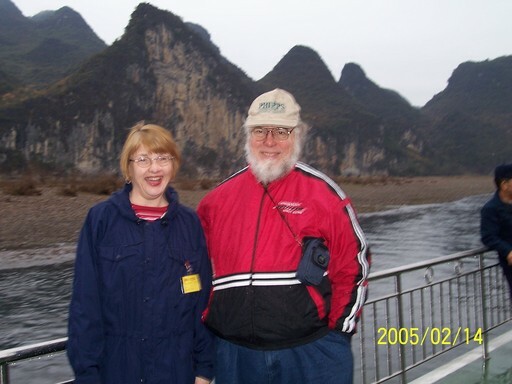 There we sailed on the Li River to see the "gumdrop" hills. In some places they rise steeply vertical, right out of a flat plain. Lunch was served aboard our vessel. 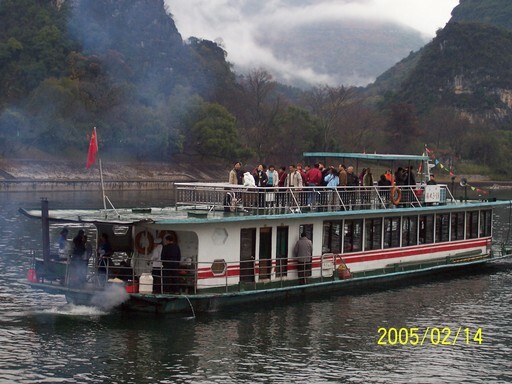 It was cooked on the back porch as on this sister ship. More gumdrop hills. 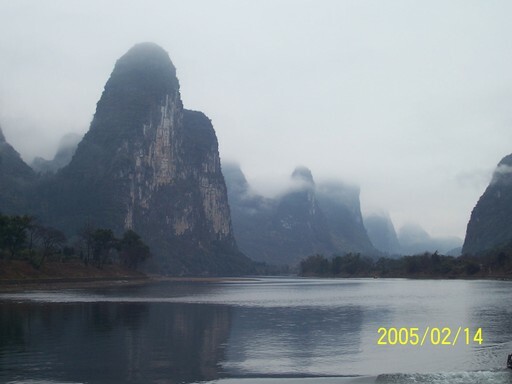 Note that typical foggy/misty Chinese paintings reflect reality. 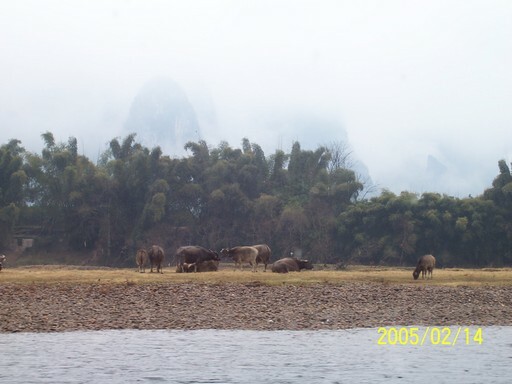 Water buffalo are a common beast of burden in Southeast Asia. Near where we debarked is this old banyan tree. 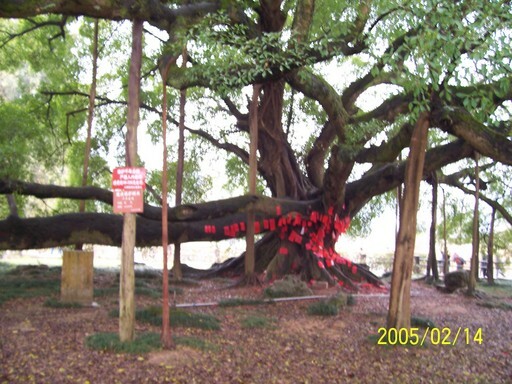 The red notes are wishes attached to the tree. Many old trees are being destroyed this way. 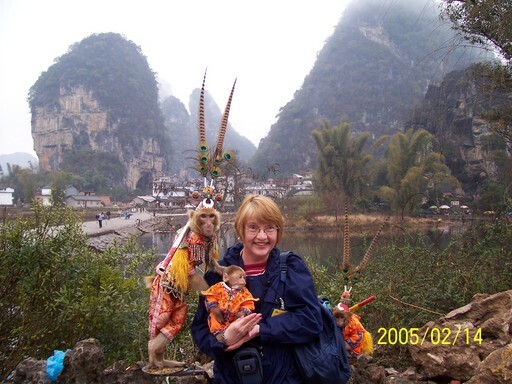 Vendors at the banyan tree offer monkeys to have your picture taken with. 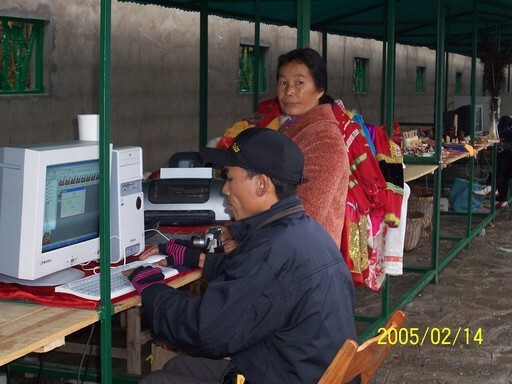 Some vendors have computers. Business was slow on a rainy day, some were using their computers to play solitaire. In the evening we went to an acrobatics show with Cirque-de-Soleil-like trappings. Here two performers pose after the show in front of a strange picture in the lobby. 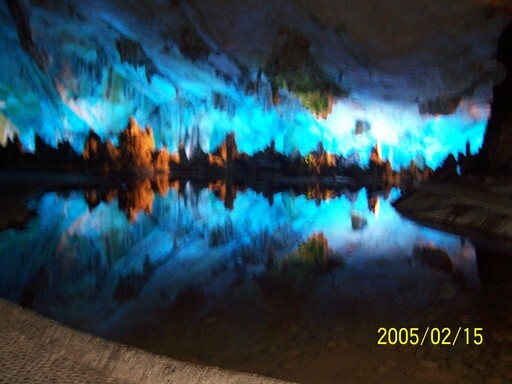 Reed Flute Cave, near Guillin, has this huge room with colorful lighting. 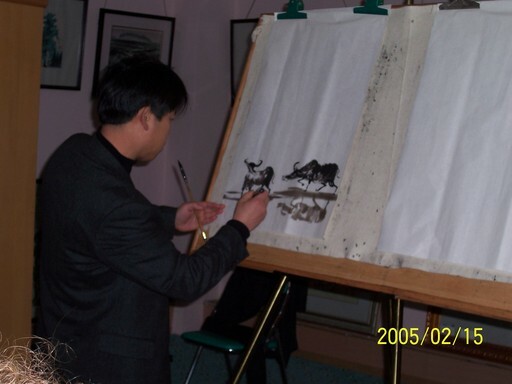 Next day we had a "lesson" in Chinese painting. The first thing he put on the canvas were the horns of the righthand animal. Of course no demonstration is possible without a subsequent lengthy shopping time. Here are the gumdrop hills as seen from our hotel window. Below the hill gap across the river are several horse sculptures in the river. 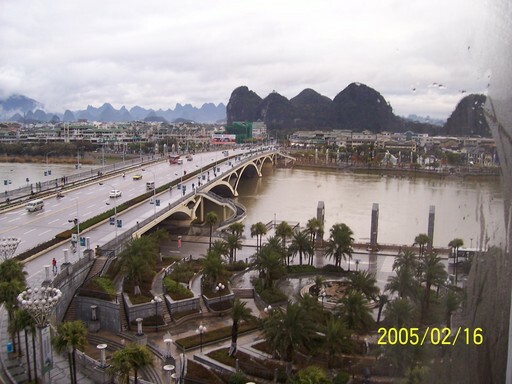 They were on shore the day before, but the river rose rapidly during the night.